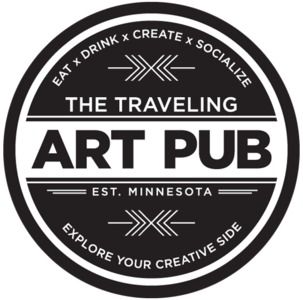 Join the Bay Lake Area Lions and the Traveling Art Pub as they host Cuyuna Lakes Chamber of Commerce’s Business After Hours at the Deerwood Auditorium on Thursday evening, Feb. 21. 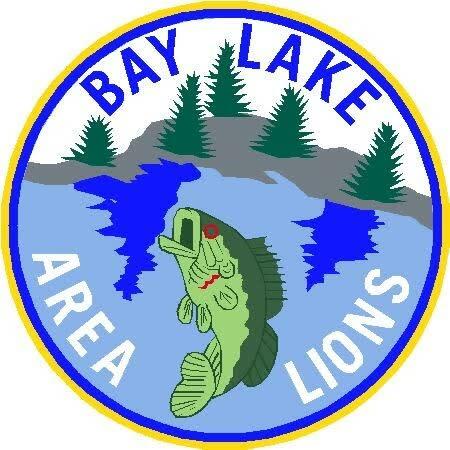 Everyone is invited to learn more about the Bay Lake Area Lions at the social planned for 5 to 7 p.m. Enjoy networking to build relationships, hors d’oeuvres and refreshments. Chamber members will also be able to introduce themselves and their business to the group. A $3 entry fee will be collected at the door. 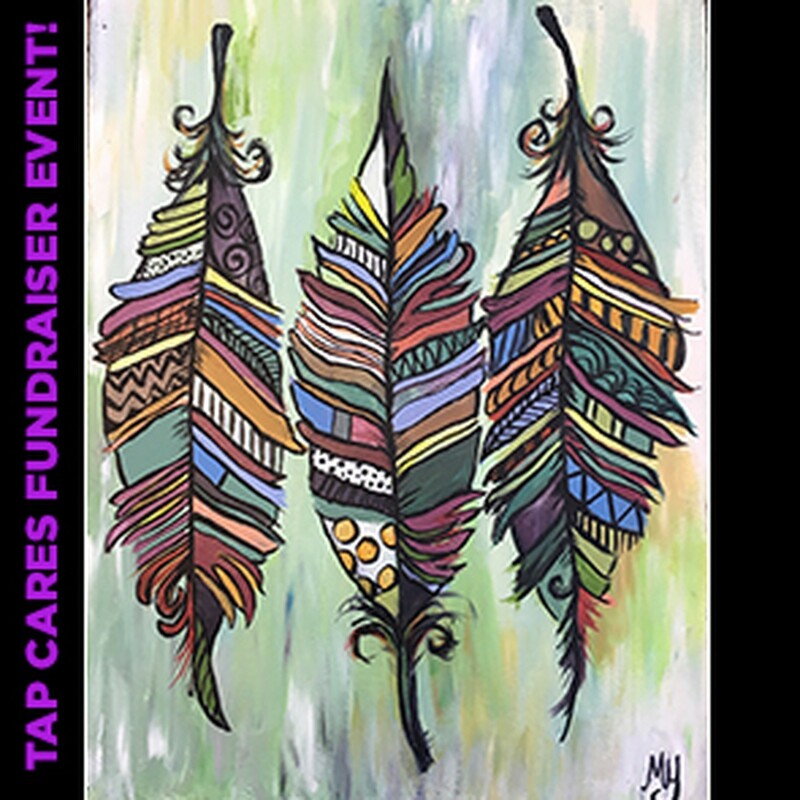 Those attending will also have a chance to explore their creative side with the Traveling Art Pub from 6 to 8 p.m. For $25, participants will receive a two-hour guided instruction to create a 3 Feathers acrylic masterpiece. 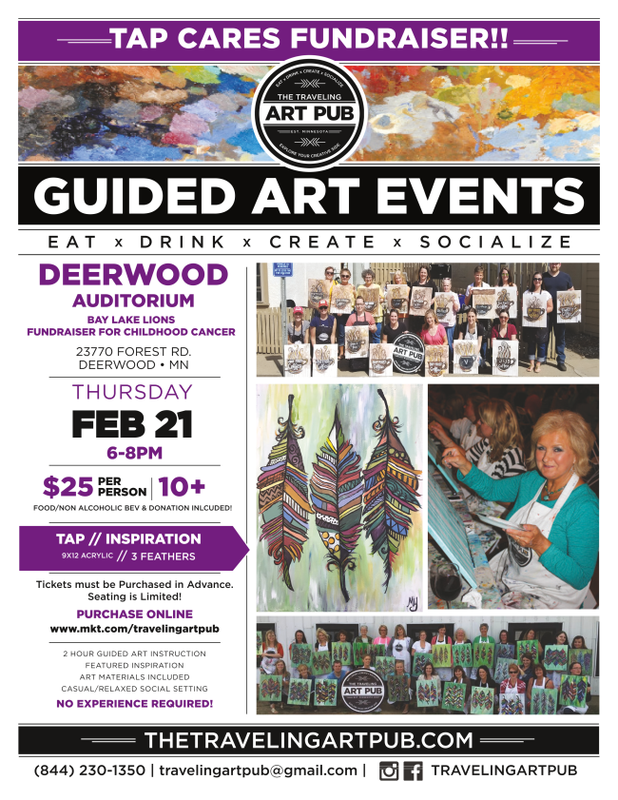 A total of $5 from each ticket will benefit the 5M Lions Childhood Cancer Program. Tickets must be purchased in advance at www.mkt.com/travelingartpub. If minimum registration is not met, the event is subject to cancellation and refunds or transfers will be made. Attendees are also encouraged to bring door prizes for raffle drawings. As a courtesy to the host, advanced registration for Business After Hours is recommended at www.cuyunalakes.com or by sending a message to Jessica@cuyunalakes.com.